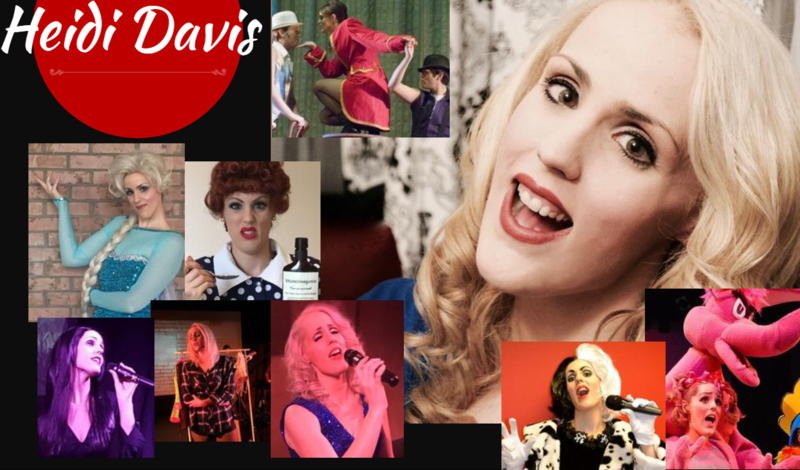 Heidi Davis has always been a self proclaimed "ham" with a love of comedy and all things wacky. When she was a child Heidi recalls memorizing all of Jim Carrey's lines from "The Mask" and "Ace Venture" and Robin Williams' bits from "Mrs. Doubtfire" and "Aladdin" and annoying her friends and family with them constantly. She grew up watching sketch shows like "In Living Color", "SNL" as well as reruns of "The Carol Burnett Show" and "I Love Lucy", studying what made great comedy. She also discovered the art of the parody song through her spirit animal, Weird Al Yankovic. That was the start of her passion for creating crazy over-the-top characters, doing celebrity impersonations, writing parodies, and making people laugh. Since then she has performed in over 50 plays, musicals, cabarets, and operas, and she continues to work professionally as a singer and actress. Here in Portland, she gets to scratch her character "itch" with Red Shoe Productions where she performs as her comedy idol, Lucille Ball, all of her favorite Disney Villains, and many other colorful characters. She is also an actress with Echo Hill, a house team at Curious Comedy Theater that performs completely improvised musicals. ​Currently, Heidi's main focus is producing and performing in creative jukebox-style musicals and cabarets as the Artistic Director of Torchsong Entertainment. Heidi is also the main writer for the company's scripts and hilarious parody songs. ​For more about Heidi visit: www.HeidiDavisSoprano.com.